"The symphony is the plan of God (NO THING) moving humanity in concert to perform the evolutionary jump occurring within the lifetime of most of us living. The Conductor is the Demiurge (Creator of the universe) working from the plan in unison with the mechanics of the universe defining the nature and structure of the jump. We are the rhythm of notes forming the melodious body of music to the harmony of God’s plan. This melodious body of music referred to is the body of Christ, not just Christians per say, but anyone who wants to be an instrument. The energy and harmony of this body of humanity must be perfect and moving as one for the defining moment of synchronization (last trump) with the transformation and jump to a new plane of evolutionary existence. 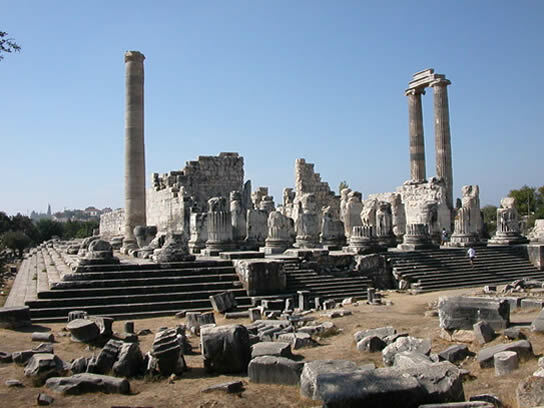 Most of us have incarnated at this time to actively participate in the process…"
The Graphic from the previous page (link to this page) was taken by: Leonidtsvetkov 27 May 2007- I have taken the images while in Delphi last summer. This is a composite of several images. Should any of the above resonate with you then you may be awakening as one of the 777,000 or the Critical Mass number. If so then we invite you to become a point of light by joining the I.D.E.A. Foundation for the Benefit of Humanity. As a point of light you will appear on a map of the world showing the location of individuals as lights that are part of the solution. For many of you seeing yourself as an instrument for God may be a daunting proposition and you may not be sure whether you are a member of the 777,000. 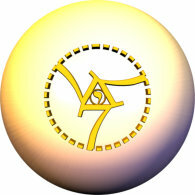 In the “Know Thyself” page we asked: “Are You 1 of the 777,000?” This is because only You know if you are or not. The best way of being absolutely certain is to ask God. For those of you that have read metaphysical material, you may prefer to think of God as Spirit or the Higher Self. Whatever name is used doesn’t matter because of course, the 777,000 are all asking for and following spiritual guidance. However, for some of you being able to hear God’s voice may be impossible to believe. For you the Hidden Codes of Life may be the answer. These codes are predicated on your date, precise location and time of birth and the name you use now (whether it is your legal name or not). The Hidden Codes are designed to identify your spiritual purpose and should not be seen as a forecast of any worldly destiny. WHAT IF I’M NOT ONE OF THE 777,000 CAN I STILL PARTICIPATE? The answer is an unqualified YES! As we said, you can still be a point of light on the map of the world and you may become or already are one of the “Earth Angels”. These individuals are already working to be a part of the solution. On our Web Site we acknowledge many of them in 7 categories and also link to Videos that honor their contributions to Humanity. Earth Angels are diverse and live their lives in accordance with being part of the solution. As in any organization there are many positions to fill. Some people may be content to do their part through volunteering and or supporting organizations that are working to make this world a better place. If you are one of these individuals then Thank God for you; the contribution you are making to the solution is definitely helping make a difference. You are the embodiment of an Earth Angel. The reason we say not everyone can be one of the 777,000 is because the Human Race on earth today consists of 18 levels of consciousness. Only 12 of the levels are able to assist in the transformation of the World. This is not exclusivity, but rather a statement of facts. The 777,000 will literally transform the world by changing the way they think; the true meaning of the word “repent.” If you are unsure as to whether you are capable of changing the way you think and do not know where you fall within the levels of consciousnesses that can help, we have three sets of questions that may assist you in this process. Do you believe that only your Religion, sect, or church is right and that everyone else is wrong? Do you believe that everything that happens is God’s Will, even the tragedies and Humanity is helpless to make any difference? Do you believe that if you deviate in any way from what your religious doctrine teaches, you may be risking your immortal soul? Do you believe that the world is perfect and there is nothing to do but to live life to the fullest? If you answered “Yes” to any of the above questions then STOP and go no further. You are not ready or open to the changes it will require. This would imply that if you answered “No” that you are ready. However, there are many people that answered “No” to all 4 questions, which are also not ready. Below are 4 questions for those people that answered “No”. Do you believe that Science can explain everything that happens? Do you think that to believe in anything that cannot be explained scientifically is irrational? Do you believe that Religion or Faith is the same as superstition? Do you believe that you only have one life in one body on this Earth? Like the first set of questions, if you answered “Yes” to any of the above questions then STOP and go no further. You are not ready or open to the changes the process will require. So the question is “Who is ready?” There are just 4 questions answered in the affirmative that will help identify you as possibly one of the 777,000. Have you ever wondered why we are ALL here? Have you rejected religious explanations of Divinity and yet still feel that there is something magical to life that hasn’t been explained by either Religion or Science? Are you open to the concept that we live more than one life and this body is not all there is to our consciousness or existence? Do you believe in the innate goodness of Humanity and that most people want peace and harmony for everyone? If you answered all four questions in the affirmative you are most likely one of the 777,000. Gautama Buddha would describe you as traveling the “Middle Way.” You are not so dogmatically religious that you refuse to consider anything that appears to disagree with your Religion. Alternatively, you are not so steeped in the material world that if it doesn’t involve any of the five senses then it is mere superstition. Although we have been seeking members of the 777,000 to register as points of light in the Divine Plan of Know Thyself Initiative, as the numbers break down to only 1 member in 7,000 people scattered throughout the world, it is a painfully slow process. Now as we have reached the 18-month marker (547 days), we need to ask all those born to help facilitate the transformation of the world through KTI to assist us in whatever way they can. This plea is directed to those of you that resonated with the stated premise of KTI that a critical mass of human consciousness can affect the mass consciousness, but are unsure if you are one of the 777,000. This is fine, because you may be a facilitator of the Divine Plan and can be of help in several different ways. You can still be a point of light by donating $10 to help the poor. 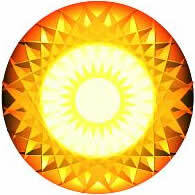 Just fill out the form providing us with your name, location, and e-mail to appear on the map of points of light. If you cannot afford to donate $10 you can help by promulgate KTI. For those of you fortunate enough to be financially secure, you could be of immense help in facilitating the Divine Plan as a point of light by financially supporting KTI enabling us to advertise KTI world-wide. We know all of you that resonate with KTI are being divinely directed and we are asking you to search your heart for guidance, after all, the number days is not that many. DO I NEED TO BELIEVE IN GOD OR A SUPREME BEING? That depends if you are open to the possibility of a Supreme Being. If you categorically refuse to consider anything Divine, then the answer would be: “No you are not ready.” However, if you are willing to consider that there is something more than just this earth then the answer is “Yes.” We must emphasize that you do not need to be sure of anything; in fact it will be easier for those who have not experienced indoctrination of any kind. All that is required is an open and inquiring mind that will examine everything with new eyes. As for the individuals that we have said aren’t ready; we must add emphatically NOT READY NOW. That does not mean you won’t be ready very soon, just not now. There is no judgment involved you can still contribute by remaining a part of the solution. The reason we say if you are not ready STOP, is because to take the next step involves being able to put all previous conclusions aside. It will necessitate a completely new way of looking at Consciousness-Evolution and “reality”. We feel that it may help to watch http://www.ted. com/talks/ view/id/229 This video is under 20 minutes long, but is one of the most powerful examples of what the next step involves. In the video, Dr Jill Bolte Taylor a Neuroanatomist shares her life-changing experience of a major stroke she had about 10 years ago. During the stroke, while watching her own brain mal-functioning she experienced the phenomena of a shift in her perspective of reality. This is what changing the way you think means and is the next step in consciousness evolution. If after watching the video and answering the above questions you feel you may be one of the 777,000 and are still open and feel moved to investigate further we have created a living thesis, which we call the Know Thyself Initiative. This thesis involves The Mysteries and is based mainly on the information on Ancient Wisdom for Now Page on our Site. This information is free to download and some of you may be content with just reading the information yourselves. However, in reviewing the material with our study group we found that they still had many questions about how to apply the information. Consequently, we developed the Know Thyself Initiative; before we get to the requirements to register just a little background on the Initiative. DO I NEED TO BE WELL EDUCATED OR INTELLIGENT TO PARTICIPATE IN THE INITIATIVE? NO! The Initiative uses Divine Consciousness and Inspiration that is imparted to all that choose to involve themselves with it. We find the Spiritually led people that get to this point in their journey will be compelled to seek the truth with an open mind and heart that has nothing to do with education or intelligence. The Initiative content material was designed for the "layman", so to speak, and spiritual guidance will assist everyone with the desire to participate. The Good News: An Alternate Theory related that only those individuals that would be at least 21 years of age by December, 2012 are eligible to be instrumental in transforming the world. This statement was made in reference to “moving to the next level". However, there are many individuals that chose to be born at this time and will not move to the next level, but volunteered to be the teachers of those that aren’t ready to evolve yet. Some young people who will be under the age of 21 in 2012 are ready to participate in the Know Thyself Initiative now. These young people are precisely the ones the Dalai Lama focused on in his message Seeds of Compassion, and are the reason for his recent visit to America. Fourteen years ago we embarked on an in depth study of why there was so much religious conflict. It seemed to us that the major religions of Judaism, Christianity and Islam all believed in the same God and so we investigated the origin of religion. This took us into the investigation of the origin of everything. Briefly, the most impacting information we discovered was that beneath ALL the world’s religions there was a common teaching, which was known as the Wisdom Religion. It was in the endeavor to uncover the content and substance of the Wisdom Religion that led to The Mysteries referred to in the Bible and many ancient writings. As we said in the information on the previous page, The Mysteries were teachings that were concealed throughout all the world’s religions and philosophies. Today modern science has recovered many of the teachings of The Mysteries, (although most don’t realize it) especially in quantum mechanics and the physics of sub-atomic particles. The Mysteries were teachings that often took a lifetime to learn. These teachings literally changed the consciousness or the way the participants thought; hence Jesus’ directive to change the way you think. It was from this perspective that the Know Thyself Initiative was developed over a fourteen-year period. 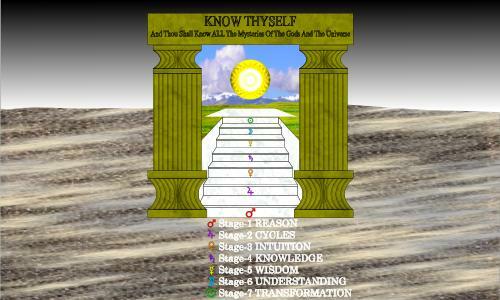 The Know Thyself Initiative is devised as a seven-staged thesis that will change the way you think. The living thesis consists of many different aspects and its goal is designed to assist the individual in his or her consciousness development. This is not a feel good thesis and will cause the participants to experience real change in the way they view reality. We feel compelled to warn you that this is not to be entered into lightly. Even if you drop out before completing all seven stages what you study will profoundly affect you and cause permanent changes in your consciousness. Throughout the seven stages, you will be introduced to writings from many authors that have dedicated their lives to helping others. We have made the information freely available to anyone that wants it. Our goal is to share this valuable information with people dedicated to helping in any way they can. These individuals are receptive and open to the understanding that in order to change the world they will first have to change themselves. Consequently, we focus on teaching individuals that will apply The Mysteries in their life and will be willing to share them with others. At the end of the Initiative, we will be looking for 144,000 teachers that will go on to spread The Mysteries to others. After you register for enrollment into the KNOW THYSELF INITIATIVE there is a nominal fee of $10 (ten dollars) donation to The I.D.E.A. Foundation that will not only help support the Foundation’s world effort but also entitle you to a LOGIN with unlimited access to the Initiative. You will be able to ask as many questions as you need to on any stage. Any of the stages covered will be available for all enrollees at anytime. We will proceed through the stages at whatever pace is required, but we anticipate the Initiative will take approximately twelve to eighteen months. The I.D.E.A. Foundation has tried to consistently keep the costs down, but there are some stages, which will require some outlay for study material. To reiterate, we are looking for the teachers that will learn to be an example and share The Mysteries with their fellow brothers and sisters. Due to multiple questions about the Know Thyself Initiative, we decided to make all the Stages of KTI available to everyone from our Triple 7 Center web site without the necessity of a log-in. Below we addressed an important question as to the purpose of the 777,000 individuals involved in the Initiative. The Know Thyself Initiative is one of the means the Divine forces are using to help Humanity. Of course many, many individuals are working in other ways to help. Having said that the particular 777,000 individuals we are looking for, contain the exact frequency consciousness that will harmonize together and act as a vehicle for the catalyst of compassion. These individuals involved have chosen to incarnate at this time for this specific reason. We said that everyone born between 1945 and 1983 are potential members. The key word is “potential.” Many members of the two generations concerned will fulfill their purpose in other ways. Still a very small percentage of them will become the catalyst for compassion through the Know Thyself Initiative. A fairly recent film by M. Night Shyamalan called Lady in the Water reflects what is occurring at this time. If you have not seen this film, let us give you a brief synopsis of how the film illustrates our point. Basically the movie centers on a mysterious “lady” appearing out of the blue in the swimming pool of an apartment complex. This “lady” is a messenger sent by “good” forces to deliver a message, which will help Humanity. Of course there are also “not-so-good” forces present that are determined to stop her. It is left up to a small number of residents in the complex to thwart these not-so-good forces and protect the “lady”. The surprising thing is that it takes the combined effort of them all to be successful. Each of them was born with a specific skill to be used at the exact time needed. The individuals involved are completely unaware of their skill until they are mysteriously moved to utilize it, and save the day. The Triple 7 Center’s mission is to facilitate the remembrance and awakening of the 777,000 by making The Mysteries accessible to them through the Know Thyself Initiative. It is essential to understand that only the 777,000 know who they are; we are merely creating an atmosphere for this remembrance. On the Web Site, The Initiative is contained within temples and the pillars of Jachim and Boaz, which represent archetypally the Temple of Solomon. In the book The True Philosophers’ Stone we wrote of the “Temple of the Stars” located in the south of France. We learned of the temple from Elizabeth Van Buren’s book, Refuge of the Apocalypse: Doorway into other Dimensions – Rennes-le-Chateau, the Key. In the chapter entitled, “Seven Golden Apples” Ms. Van Buren informs us that at the heart of the “Temple of the Stars”, is the Temple of Solomon. Obviously, Ms. Van Buren is not talking about a literal temple, but a metaphorical one, i.e., a mystical temple not built with hands. Many would think that we planned The Initiative from the trip to France but, the simple truth is we had completely forgotten about the Temple of Solomon in France. It wasn’t until recently, long after the Know Thyself Initiative was formed that we learned the connection between the pillars of Jachim and Boaz and the Temple of the Stars. At the same time we also realized the “Seven Golden Apples”, archetypally represents the 7 stages or temples of The Initiative. Of course, we must have retained the information somewhere in our brains, but it was knowledge we were not consciously aware of. Curiously it was this experience which demonstrated the need to spread The Initiative as widely as possible. Like we had forgotten the information about the Temple of Solomon, the 777,000 have forgotten consciously that they chose to be a part of The Initiative before they were born. They just need to be reminded. We feel it is important to remember that the purpose of The Initiative is to change the way we think. The Divine forces know that it is nearly impossible for people to change the way they think and this is why so small a number of individuals are required to act as a catalyst. Essentially, The Initiative is an energy and consciousness phenomena, which will be discussed in many ways; including Tortion Fields and expansion of human consciousness, particularly as it pertains to Root-races, Sacred Geometry and Archetypes. One of the goals of The Initiative is to help create new pathways in the brain. As stated this is not brainwashing; on the contrary, it is brain expansion, which allows access to forgotten Universal information. The books by Eckhart Tolle and our associate Dr. Jill Bolte Taylor are invaluable in demonstrating how this process is possible. Mr. Tolle approaches it from the perspective of disciplining the mind to stay in the present. He also makes us aware that our thoughts are not always our own. Dr. Jill’s gift comes in her experience of the Universal Collective Mind, where perfect clarity and peace is achieved; in Dr. Jill’s words “Nirvana”. Fortunately, we do not need to experience a stroke to achieve Nirvana; it begins with recognizing the “way” you think as well as “what” you think. Ancient Wisdom taught in The Mysteries how to achieve a heightened state of awareness by re-routing pathways in the brain and changing the way the candidates thought. Alas, only a very few exceptional individuals were able to successfully reroute pathways in their brain. This was chiefly because Human consciousness had not expanded sufficiently. Today that is no longer the case. As Greg Braden and many others have discovered; the expanded consciousness of Humanity and the planet are moving into synchronization with each other. So now the Human Race can be affected on many levels, including sound and color. Moreover, due to the harmony of the planet with human consciousness there is an opportunity or “portal” for facilitating transmutation of Earth and our physical bodies. The 777,000 collectively expanding their consciousness and changing the way they think create a critical mass energy shift required for rebalancing the active/masculine and passive/feminine vibrations. If you are still wondering what we mean by changing the way you think as opposed to what you think, try answering the two questions below. Which color do you think best represents your birth – Pink or Blue? We are not talking about gender, but rather whether you resonate to masculine or feminine vibration. This also doesn’t apply to sexual preference. Some couples may reflect the opposite color to their gender simply by the role they take. This does not necessarily mean they will resonate to that vibrational color. Would you say you are of an active or passive energy? For example in a crisis do you step forward to suggest a solution, organizing others to get the job done? In a group discussion do you find it almost impossible not to contribute? Alternatively, are you inclined to stand back in a crisis waiting for directions from someone else? In a group discussion are you more comfortable listening, than talking? The person who is comfortable in stepping forward to organize others in a crisis; or feels compelled to speak up in any discussion is of the active energy. Whereas the person who stands by and waits to be told what to do; or is most comfortable listening to other people’s stories is of the passive energy. We use the word comfortable, because there are many shy or inhibited individuals who stand by wanting to step forward or speak up, but cannot. These seemingly passive individuals would be of the active energy. Another frequently asked question is: will there be only 777,000 places in the Know Thyself Initiative? The answer is an emphatic NO! Consider a stone thrown into a still pond with ripples emanating from its point of entry; the waves will grow in subtle numbers. The core of 777,000, like the stone, generates what has been referred to as critical mass energy that in turn produces ripples, dynamic in nature. What may surprise you is that it isn’t necessary for everyone who joins The Initiative to complete all 7 stages. We realize that this is hardly a ringing endorsement for The Initiative, we are merely the facilitators. Only YOU know your role and duration. The film Field of Dreams perfectly reflects our thinking on this. In the film, the character played by Kevin Costner is told “If you build it he will come.” We are simply amending “he” to “they” as in: “If you build it they will come”.